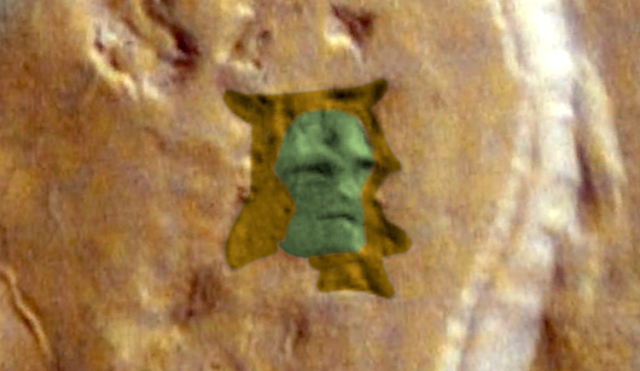 UFO SIGHTINGS DAILY: Alien Face Found In Mars Crater On Google Mars, April 2016, Video, UFO Sighting News. Alien Face Found In Mars Crater On Google Mars, April 2016, Video, UFO Sighting News. Archeologist search for ancient cultures here on Earth, find items hundreds and thousands of years old. Paleontologists study even farther back to millions, even billions of years. Well, when you combing both Archeology and Paleontology, you have...the Mars researcher. Marcelo Irazusta from Argentina is one such researcher that found a face so ancient that it predates most dinosaurs here on Earth. 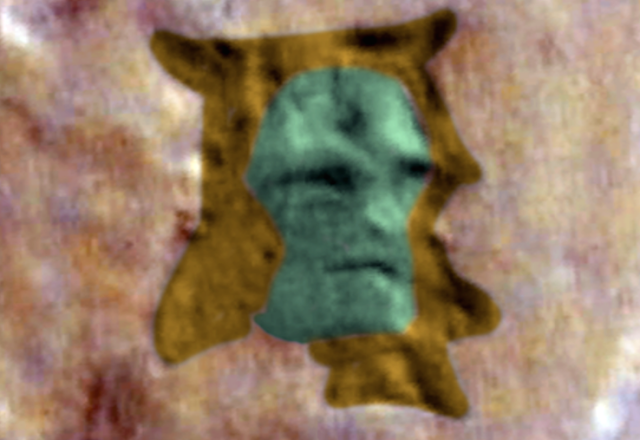 This face is big and its old, at least 500,000,000 to 1.5 billion Earth years old, but we can still make out some great detail, and is 1.5km by 1.03km. How is this possible? 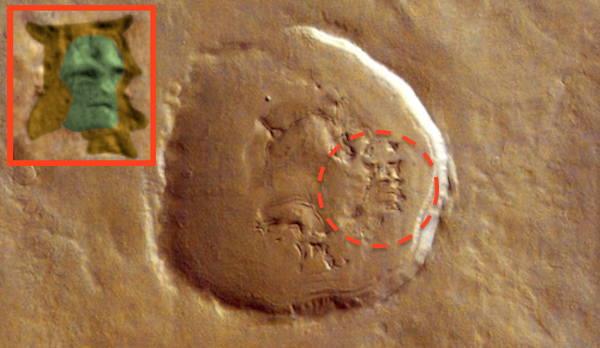 The surface of Mars doesn't change much over the years. Marcelo has some great skills at this, and I see those skills are growing fast. The Argentine researcher Marcelo Irazusta, as on other occasions has found a new face on the surface of Mars. 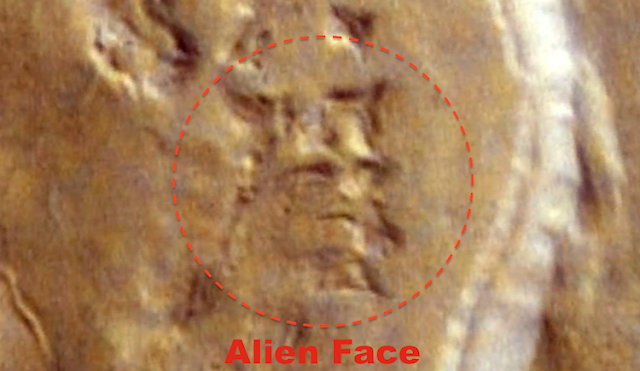 The image turns out to be very similar to the popular description of the face of Satan. Your clarity leaves no doubts. well proportioned eyes, nose, mouth and one of his ears and his typical horns, plus a third eye. The perfect distribution of each of its parts in an area of almost 2 km make it a humanlike image. Could it be coincidence? 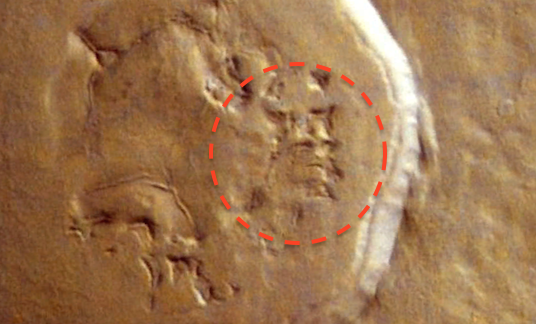 or are we looking at evidence of extraterrestrial civilization?